Cleaning the tub no longer has to be a pain in the knees. Soft grip is non-slip, even when wet. Sturdy steel pole for tough scrubbing jobs. 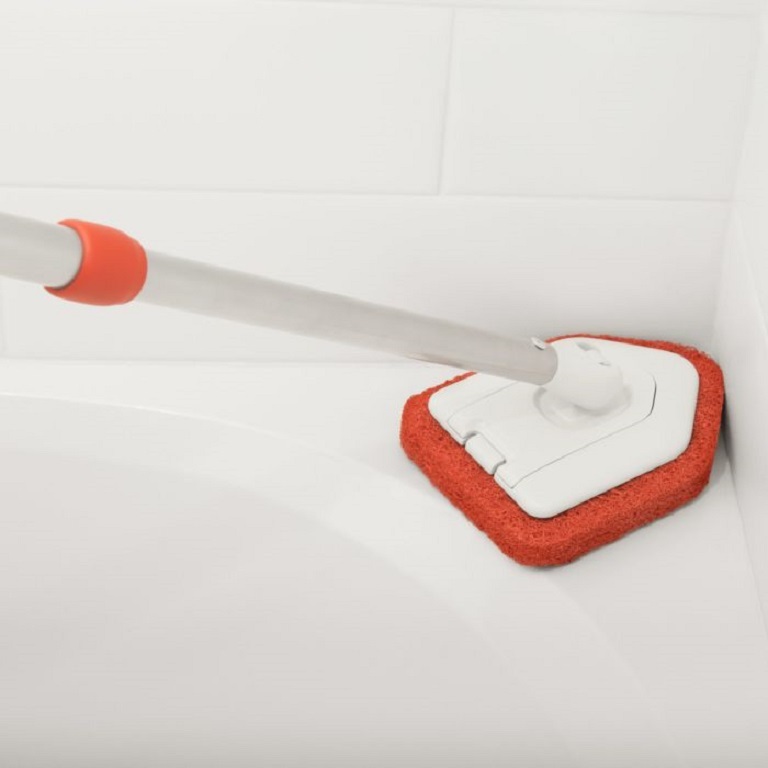 The Extendable Tub Tile Scrubber by OXO Good Grips helps users who have difficulty bending or reaching to clean the bathroom from top to bottom without climbing, crouching, or kneeling. 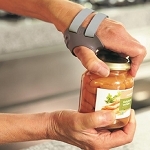 People with arthritic hands will find the soft, comfortable grip is non-slip, even when wet. 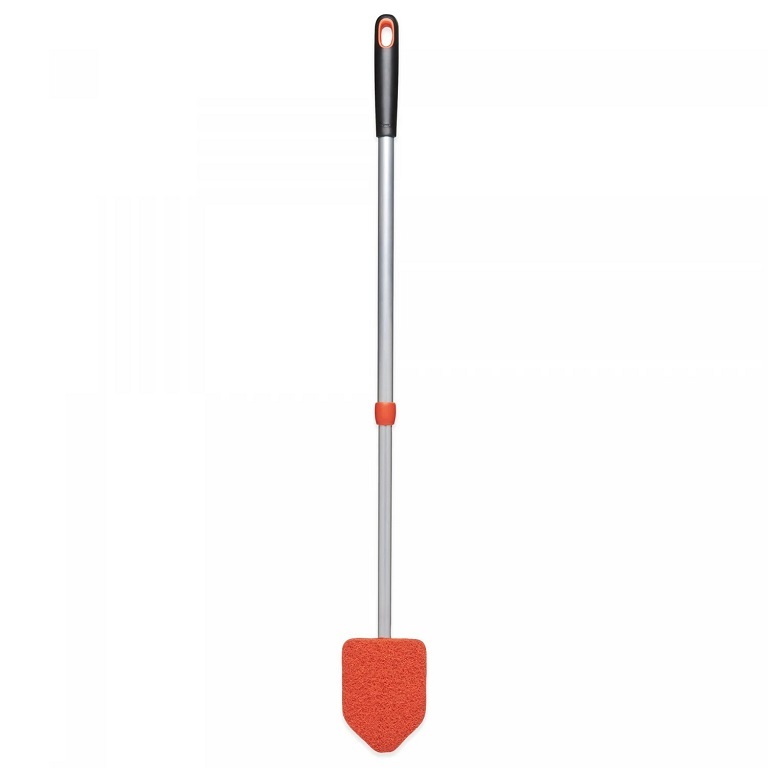 The Extendable Tub & Tile Scrubber extends from 26 to 42 inches long with a quick twist. The steel pole is sturdy for tough scrubbing jobs. 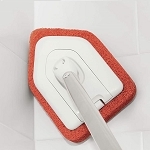 The antimicrobial scrubber head pivots for cleaning at different angles, and the unique shape makes it perfect for getting into corners and around the toilet. 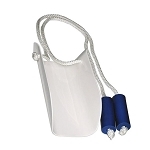 This useful extending tool is excellent for cleaning shower floors, tile walls, shower doors and so much more. 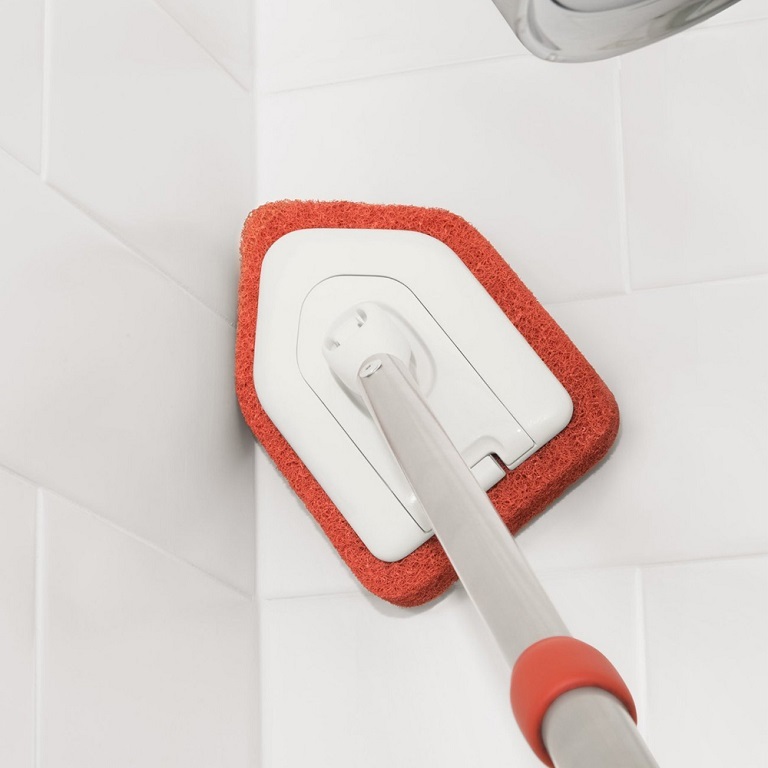 The Extendable Tub & Tile Scrubber head is replaceable. 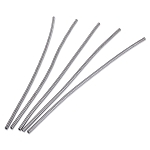 Pole extends: 26 to 42 inches long. Dimensions stored: 2.25 inches high, 4.375 inches wide, 25.75 inches long. 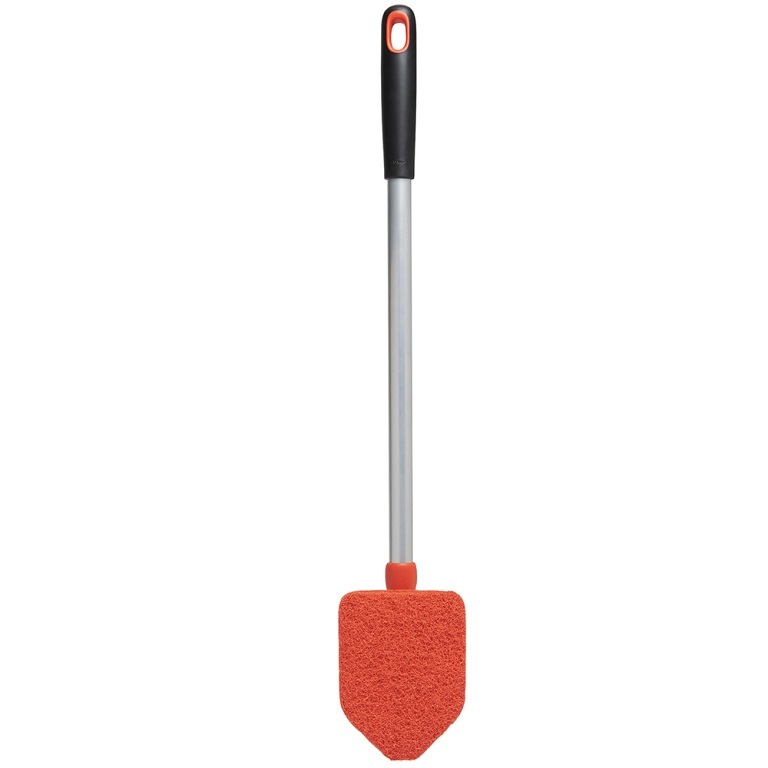 Scrubber dimensions: 5.8 inches long, 4.4 inches wide, 0.6 inch high. Easy to use , easy to clean, saved my back! Didn't help me. Too short. Not sturdy enough to push hard enough to clean off mold. A: The pole extends 26 to 42 inches long. Q: How do you deliver and how long does it usually take? 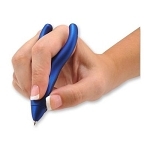 A: Most smaller size (weighing less than 4 pounds) in stock items are shipped via US Priority Mail. Heavier items are shipped via UPS Ground. Orders received by 2:00 pm Central Standard Time Monday through Friday for in stock items will ship within 24 hours. 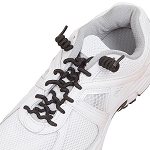 Weekend or holiday orders ship the next business day. Q: is the pad replaceable ? if so where does one get new pads? what is the size of the pad? what is it made of? is it flexible to clean the rounded sides where tub floor and sides meet? A: Yes, the pads are replaceable. 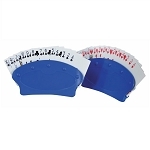 The replacement pad product # is AOX321R. The dimensions are 6 inches long, 4.4 inches wide, 1 inch high. 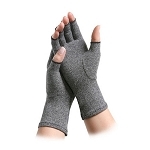 Made from anti-microbial nylon. 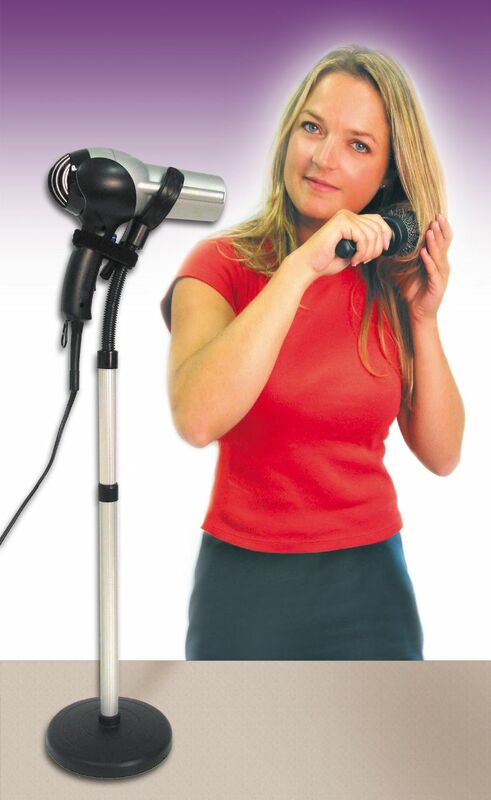 The head pivots for cleaning at different angles, and the unique shape makes it perfect for getting into corners and around the toilet.